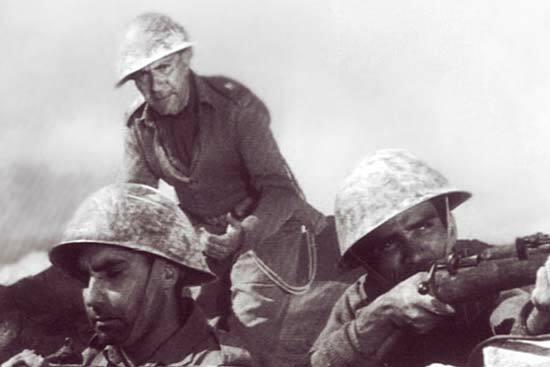 Not many films have focused on the 1965 war. Upkar has more than made up for that lapse. Of the many unconfirmed legends in the Hindi film industry, there is one involving India’s former prime minister Lal Bahadur Shastri, actor-filmmaker Manoj Kumar and their immense admiration for each other. Shastriji is said to have been highly impressed with Manoj Kumar in the role of Bhagat Singh in Shaheed, which was released in 1965, the year of India’s second war with Pakistan. Later, in 1967, Manoj Kumar came up with Upkar, bearing a strong signature of the 1965 war. It was a tribute to Shastri—who died in January 1966, after signing the Tashkent agreement—and Shastri’s slogan Jai jawan, jai kisan. The story of Bharat (Manoj Kumar), a kisan who becomes a jawan to fight in the war, appealed to the ethos propagated by the prime minister and highlighted the peasant-soldier’s contribution to the progress of the nation in peace and on the battlefield. One scene creates a minor triumph of icono-propaganda by juxtaposing a gun against a plough. “The Indian soldier is still largely from the villages and quite often from peasant families, unlike the college-educated officers who command him,” says K.V. Ramesh, a movies, music technology and military history buff. The film gave a brand new tone to on-screen patriotism. Manoj Kumar’s directorial debut was something he himself referred to as “Bharat ka 16,000-foot lamba celluloid flag (a 16,000-foot-long celluloid flag of India)”. 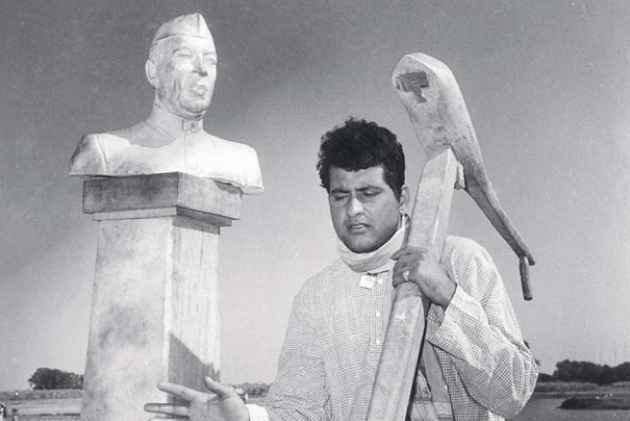 He gave a new patriotic hero to the country—Bharat—a name Manoj Kumar used again in Purab aur Paschim, Roti Kapda Aur Makaan, Kranti and Clerk. In fact, he came to be called Bharat Kumar. With Upkar, villain-of-the-day Pran got an image makeover. He played the handicapped Malang Chacha and sang Kasme Vaade Pyaar Wafa Sab on screen. The role won him the Filmfare supporting actor trophy and led to his transformation into a character artiste. Upkar also won the best film, direction, lyrics, story and dialogue awards. Music added to the emotional crescendo. MereDesh Ki Dharti, composed by Kalyanji Anandji and written by Gulshan Bawra is arguably the most popular patriotic Hindi film song of all times. It won Mahendra Kapoor the national award for the best singer. Among other leaders, it shows some footage of Shastri. However, despite its relevance to the times of the war and its show of unbridled patriotism, Upkar is not a war film in the true sense of the term. The 1962 war with China, despite the defeat, gave us what’s arguably the best Indian war film—Haqeeqat—and the wars with Pakistan in 1971 and 1999 have birthed int­eresting movies—Hindustan Ki Kasam, Border, Lakshya and more. But 1965, by contrast, has remained cinematically barren. “It has taken a backseat in terms of documentation. Pakistan seems to have documented it more. They have films on their naval ops—Operation Dwarka and Operation Somnath—on YouTube,” says film buff Pavan Jha. The Indo-Pak war of 1965 ended with a US- and Soviet Union-initiated ceasefire and the Tashkent declaration, with both sides claiming triumph. The day after signing the peace agreement, Shastri died of a heart attack, a death shrouded in many a conspiracy theory. Perhaps it was because of these two reasons—the ambiguous victory and Shastriji’s mysterious death—that the war wasn’t quite able to stir the imagination of Indian filmmakers. The 1965 war was inconclusive on all counts. How do you present a stalemate on screen engagingly? “Stalemate doesn’t set the cash registers ringing as much as a victory does. 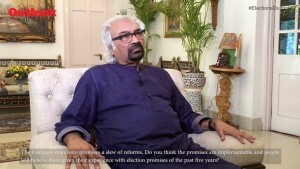 So the 1971 war is much better represented on screen since it was an outright win,” says Ramesh. Stalemates do not make for good films. Perhaps that is why the 1965 war hasn’t inspired many films. What we have, besides Upkar, is an odd mention. Like in J. Om Prakash’s Aakraman (1975). The film, which was a romance set during the 1971 war, had a father—Ashok Kumar—recollecting the death of his son in the 1965 war. Prem Pujari (1970) starts “near Khem Karan sector”, then goes all over the world and finally settles there again in the end. 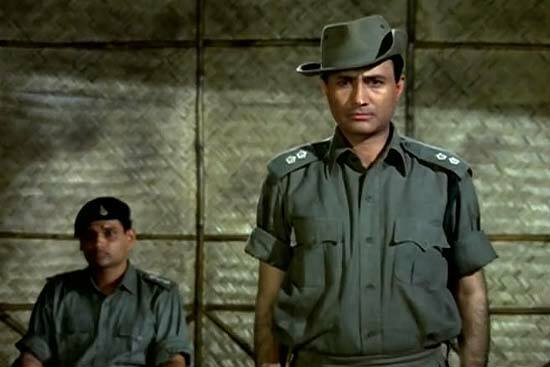 About the peace-loving Dev Anand, the son of a war hero, it starts off with him being court-martialled for not lifting the gun during the China war to then having him become a spy. Eventually, he rede­ems himself by killing Pakistani soldiers in the 1965 war. “The finale of Prem Pujari has some tank battles (the hallmark of the 1965 war) as they happened in and around the Khem Karan sector but clever editing couldn’t still mask the fact that in fact Indian tanks had been disguised as Pakistani ones. Yes I can differentiate a Centurion from a Sherman from a Patton,” says Ramesh. With India having fought a war recently and another looming large ahead, the message of “peace” certainly didn’t go down well with the audience even though Prem Pujari had some brilliant music by S.D. Burman and lyrics by Neeraj. Beyond the films, there has been a serial of the late 1980s, Param Veer Chakra, produced and directed by Chetan Anand, that had two episodes on the PVC winners of the 1965 war. The 1965 war had only two PVC winners--both posthumous. Lt Col A.B. Tarapore died while leading his Poona Horse Regiment in tank battles while Company Havaldar Major Abdul Hamid knocked out tanks with his RCL gun before being blown up by Pakistani tanks. Hamid was portrayed by Naseeruddin Shah and Aslam Khan played Lt Col Tarapore in the serial. “Sadly, the performances and the battle scene leave much to be desired,” says Ramesh. And the big, heavy hand of the defence ministry is also clear in all the episodes. Ramesh puts it all in a broader context and perspective: how Indian cinema is anyhow not “culturally geared” to make war films unless they come with an ample dose of jingoism. “Add to it the fact that most war films require the support and cooperation of the defence forces and you are more or less assured that what you view will be a politically correct, pro-government, pro-armed forces war movie,” he says—he calls them “recruiting posters” for the forces, and offers the contrast of films like Platoon (1986) or Casualties of War (1989) from Hollywood that were trenchant critiques of the Vietnam war. Ramesh has another theory, that our politicians understand Machiavelli and Chanakya much better than they understand Carl Von Clausewitz or Sun Tzu (Prussian and Chinese military theorists). “So this general disinterest in military matters also filters down to the general public,” he says. Including our filmmakers.